As Kirigaya Suguha takes her first few steps outside, the cool morning dew tickles her bare feet. She breathes in the crispy air, clearing her mind and relaxing her body. A few seconds pass before she raises the shinai in her hands high into the air. That is the last gentle movement she makes. The descent of the blade is vicious, Suguha's feet a blur as she steps in and out faster than the eye can see. Before the sound of the shinai cutting through the air can turn into silence, Suguha stands ready for another blow. 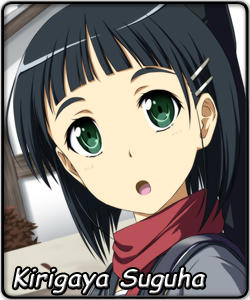 Suguha wishes for nothing more than to be as in control of her feelings and life as she is of her blade. But life is full of things beyond human control, things no amount of effort can fix once broken. When news reaches Suguha of one of her loved ones suddenly falling into a coma, she feels as if a part of her died that day. It does not help that Suguha is confused about her own emotions and desires. Is she afraid for the well-being of her unconscious brother, or angry at him for leaving her alone? Are her feelings for him those of a sister, or does she want something more? Suguha keeps asking herself such questions, but the answers are nowhere to be found. Still, she must keep trying to move forward. Because one day, her brother will wake up, and her frozen time will start moving again.